To be by the sea collecting seashells is an amazing hobby/sport/therapy/obsession. As soon as the Sight Sea-R Cruises shelling boat landed on Big Hickory Island, we saw that the beach was covered with mini shells. Ooooh and I was thrilled to see that so many other people love the minis like I do. Jenny (on the right) was with Jenny and John (VA) who showed me the awesome plastic pipe connector contraption John made for his shelling scoop so that he could break it down to put in his luggage. Brilliant! Well…. I should say Diane (Sanibel) found lots of SAND DOLLARS and FALSE ANGEL WINGS. Helen from Indiana found a beautiful assortment of shells. She not only found this SAND DOLLAR she’s holding up but her other favorites were displayed in the first photo up top. Exshellent! Omigosh and I loved Lolly’s (NJ) arrangement of precious little treasures. Roger, Charlie, Dawn (WI) and Jan (Iowa) came back with some treasures as well. Jan was happy she found a beautiful big ANGEL WING. Dawn found all sorts of fab shells like the little DUSKY CONE in the middle. Charlie faves were TINTED CANTHARUS, ROSE PETAL TELLIN, GAUDY NATICA, FLORIDA CONE, MOSSY ARK, SAND DOLLAR and ….WORMIES (!). Quite a few other people found GAUDY NATICAS too like Amy from VA. Here she is (on the left) with the other cutie shellutie Virginia girls Donna, Rene and Susan. Amy especially wanted to find an ALPHABET CONE … and she found an adorable one. Congrats! 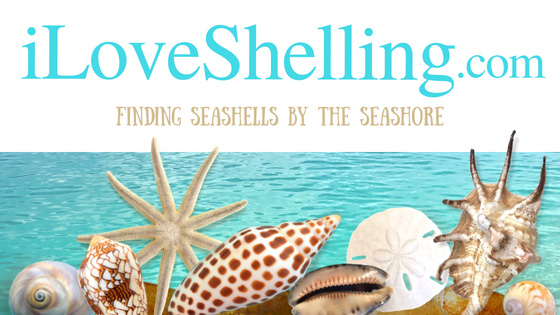 Even though we all found treasures on the beach on our shelling trip, Sealife By Congress gave every single person on our iLoveShelling cruise a $25 gift certificate to their store on Sanibel. So generous! It’s so much fun to meet people around the world on shelling cruises like this! On our last Sight Sea-R Cruises iLoveShelling shelling adventure, Steve Stephens from Columbus, Ohio was aboard with his family. Steve wrote an extraordinary article for the Columbus Dispatch that explains our day on our shelling trip to Big Hickory… its fantastic! Its so cool, you have to read it – CLICK HERE. What great finds. You always seem to find great shells on this trip. I will have to put this on my margarita bucket list. I enjoyed this trip so much! I learned an amazing amount of new information today. Pam, you are such a cheerful wellspring of information. I will definitely take more trips with you, but until then, I will live my adventures through your blog! Beautiful photos — wonderful finds (always love the mini shells), all. So fun! Wish I could be there today! You are so cute, Carrie Ann! I really like John from VA’s modification to the shell scoop in order to make it packable! I want the details on how he did that! In the photo above with the cute dusky cone (center), what is the shell two away from it at ~ 7:00? It almost looks like a Helmet of some kind.